The investigation hinged on whether Lauer qualified as having "good character"
Matt Lauer is hanging on to his farm as he sells his New York properties. 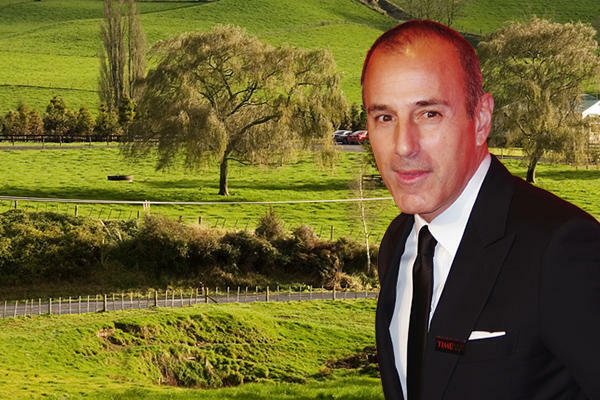 New Zealand is letting Lauer retain his ranch property citing too little evidence to impinge his “good character,” which is a requirement for foreigner property buyers in the country, according to the New York Post. The former “Today” show host’s character came to authorities’ attention after NBC fired Lauer due to three different allegations of sexual misconduct. New Zealand’s “good character” provision is broad enough to cover a range of circumstances from criminal convictions to behavior that shows poor integrity.